To commemorate Dr. Martin Luther King, Jr. Day, the Southern Christian Leadership Conference of Greater Kansas City held a 10-day celebration that culminated with a mass celebration. Ahead of that event, the SCLC held a forum on mass incarceration. KANSAS CITY, Mo. — To commemorate Dr. Martin Luther King, Jr. Day, the Southern Christian Leadership Conference of Greater Kansas City held a 10-day celebration that culminated with a mass celebration. Ahead of that event, the SCLC held a forum on mass incarceration. Dr. Vernon Percy Howard, Jr., president of the SCLC of Greater Kansas City, said, "We're saying as black men, we got to rise up and do it for ourselves." Jackson County Sheriff Darryl Forte served on the panel for the forum. 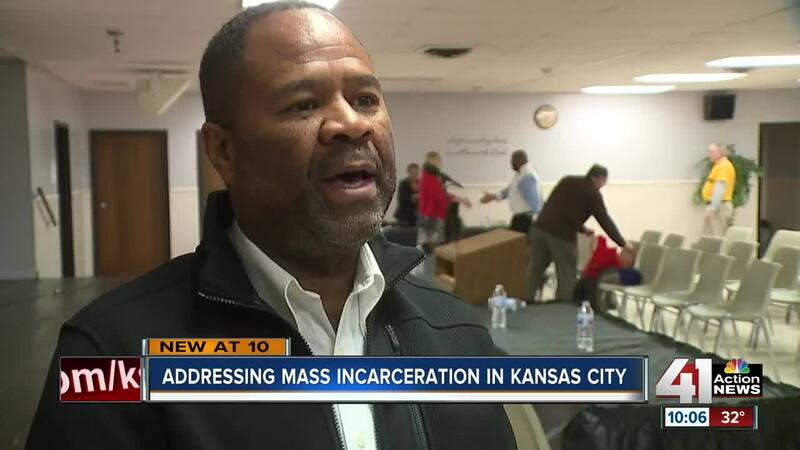 He said, "The fact is that young black males are incarcerated at a higher rate than others and that's a concern for the community as well as the privatization of penal institutions." Since January 1, Forte is now over the Jackson County Detention Center which has been dealing with issues for years. Forte spent part of Sunday at the jail and shared, "Starting this week, I'll have one on one meetings with some of the personnel at the jail. I've met with several groups already of current employees and former employees." He also added that, "It's important that law enforcement agencies hire people that understand the plight of some of those people they're serving." On the timing of the forum, on MLK Day, Howard offered, "Why not? Seems like a perfect day to talk about advocacy for justice and peace for the African-American man."